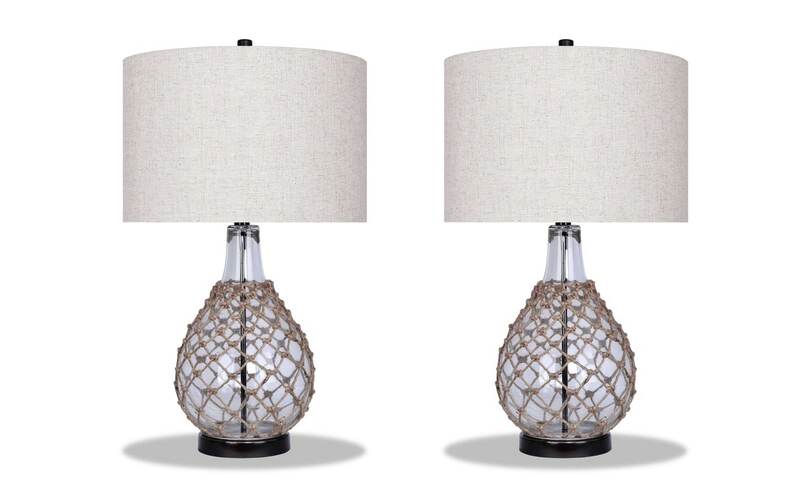 This lamp makes any room beachy and bright! 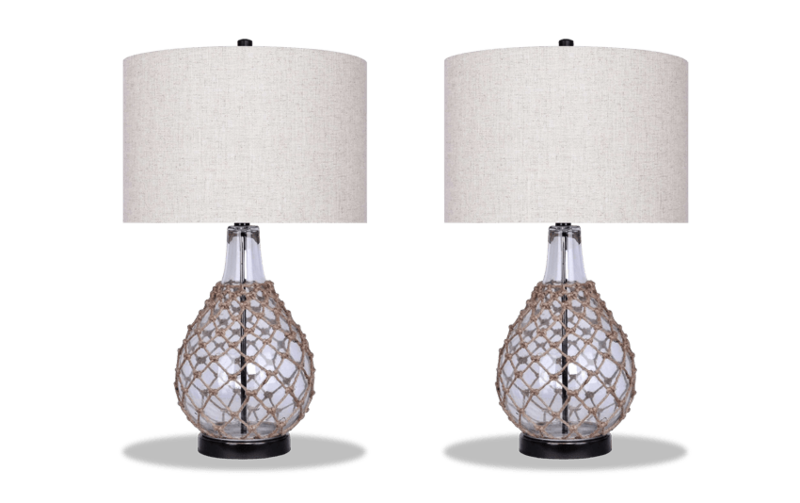 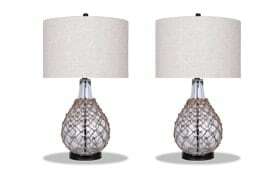 Give your living room or bedroom a beachy feel with my Set of 2 Bayside Lamps. 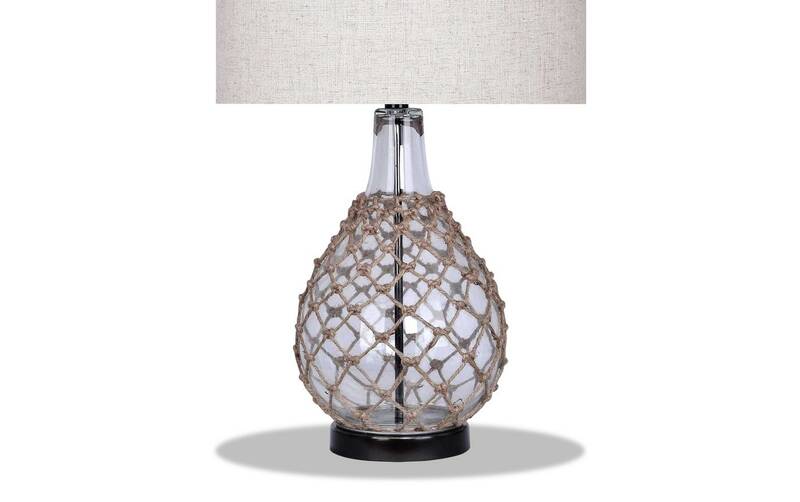 The clear glass lamp body is covered in rope for a nautical touch. 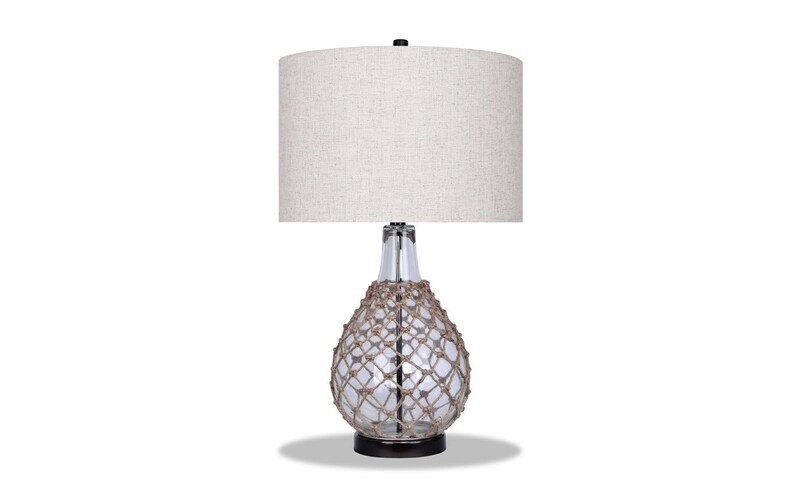 The neutral lamp shade makes this accessory an easy addition to your existing home decor!